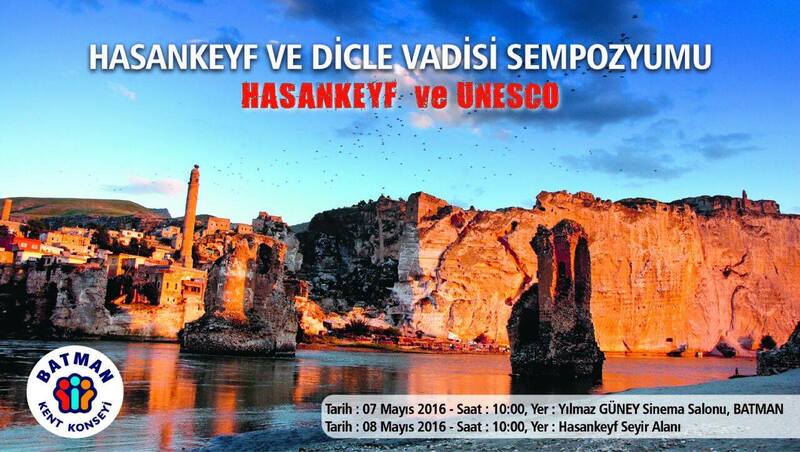 May 7-8 Symposium: "Hasankeyf and the Tigris Valley"
Please join us this weekend at the "Hasankeyf and Tigris Valley Symposium," May 7-8 in Batman and Hasankeyf. 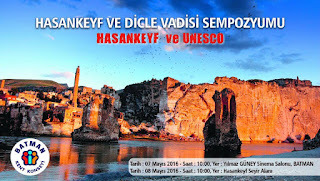 Organized by the Batman Urban Council (Batman Kent Konseyi) in partnership with The Initiative to Keep Hasankeyf Alive and the Mesopotamia Ecological Council, the symposium promises a lively and productive program. Speakers include Ertuğrul Günay (former Minister of Culture and Tourism), Nevin Soyukaya (Head of Culture and Tourism for the Greater Diyarbakir Municipality and responsible for management of UNESCO-listed Sur District and Hevsel Gardens), Zeynep Ahunbay (Prof. of Architecture, former ICOMOS-Turkey President and, co-founder of Europa Nostra-Turkey), and several other well know scholars, environmentalists, and politicians (representing both the ruling AKP and the pro-Kurdish HDP). The program is free and open to all. Batman is served by multiple flights daily from Istanbul and Ankara.